Insurance Policies are Contracts of Insurance ~ there are specified coverages, conditions, exceptions, exclusions and the way they are worded invite interpretations – sometimes far different than perhaps what was intended. Though in every contract, the intention of the parties should prevail, it could well be interpreted against the drafter of the contract when there are ambiguities. There are some names which are associated with bad things and ‘Aedes’ is perhaps one – derived out of Greek aedes, meaning "unpleasant" or "odious". The all important red coloured body fluid which supplies oxygen to tissues gets affected by Aedes – coagulation, a complex process by which blood forms clots gets affected. Aedes is a genus of mosquito originally found in tropical and subtropical zones, but now found on all continents excluding Antarctica. The feared fever ‘dengue’ is linked to - Aedes aegypti, a mosquito. The mosquitoes are a family of small, midge-like flies: the Culicidae. Although a few species are harmless or even useful to humanity, most are considered a nuisance because they consume blood from living vertebrates, including humans. When half-asleep, a pierce to one’s skin, leaving behind an itchy red welt and possibly even a serious illness. There was a time when ‘mambalam mosquitoes’ were famous – now you have them in every area - be it – Triplicane, Mylapore, Medavakkam, Madipakkam, Parrys, Velachery – name any area – most popular myths have been exploded – they are found on every floor of very tall structures too. All mosquitoes must have open or stagnant water to complete their life cycle. This water can range in quality from melted snow water to sewage effluent and it can be in any container imaginable. 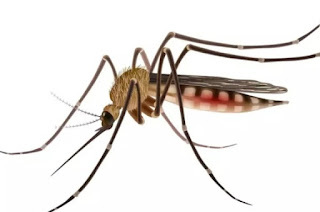 Male mosquitoes do not bite. The real risk is from female mosquitoes that search for blood to provide protein for their eggs. Scientific research over the years has shown that female mosquitoes find their prey using a combination of sensory cues including light, shape, colour, heat, vibration, sweat and other by-products of human activity. 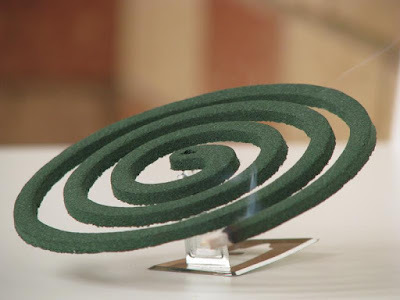 An year or so back, there was this decision of North District Consumer Forum, on an Insurance claim arising out of mosquito bite stating -: "In our considered opinion when a snake bites a person, it is an accident. On this analogy we do not find any difference between the death caused by a snake bite and the death caused by the bite of malaria parasite provided there should be a proof to that fact. 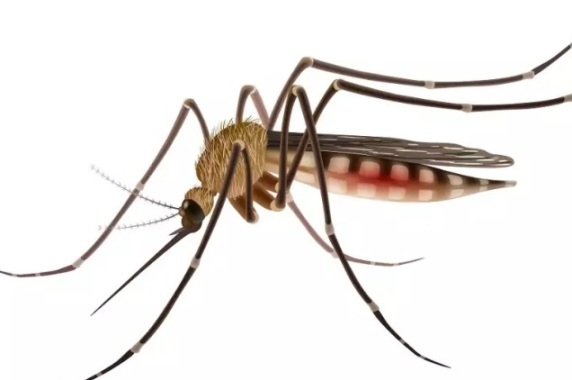 "We come to the conclusion that death due to mosquito bite is covered by the word accident," the North District Consumer Disputes Redressal Forum said. The order of the bench, came on the plea of Punjab native Nirmal Singh who had alleged that after his father's death due to malaria, the Oriental Insurance Co Ltd refused to reimburse his claim under the policy. Nirmal pleaded that his father, a truck driver, had purchased an Individual Janta PA scheme for a sum of Rs 2,00,000 from the insurance company for the period of November 28, 1997 to November 27, 2007. His father reportedly fell ill while moving goods from Mumbai to Delhi and back and had later died in the hospital during treatment on October 19, 2003. The insurance company contended that the insurance of the deceased had been cancelled in 2002 itself as per the policy decision and the premium of Rs 282 was refunded on proportionate basis for the un-expired period of the scheme. It had also contended that the policy was in respect of sustaining bodily injury resulting solely and directly from accident caused by outward, violent and visible means and / or death / disablement due to sterilisation risk and since the insured did not die of any accident, the beneficiary of the deceased was not entitled to the insured amount. The forum while holding that death of Nirmal's father was due to accident, however, upheld the decision of the company to reject his claim saying the policy was cancelled in 2002 and the cancellation was not challenged by him. Considering ‘mosquito bite’ as an accident is not perhaps all new. Way back in 2002, an Ontarios Court of Appeal deemed that biting of an outdoor worker by a West Nile Virus-carrying mosquito an accident and awarded the worker $130,000 of coverage under his policy. That person was working as a plasterer when he was bitten by the virus-carrying mosquito, rendering him a paraplegic. At the time of the accident, Justice Karen Weiler wrote in her endorsement, while mosquito bites were common to a person in Kolbucs occupation, there had been no reported cases of the West Nile Virus in Ontario. It was an unforeseen, unexpected event that was caused by an external source a mosquito and falls within the ordinary definition of an accident, Justice Weiler wrote. Now comes a well –analysed judgment, interpreted in favour of Insures. It is a case of appeal on an interesting question of law. The Supreme Court of India [Hon’ble Justice Dr Dhananjaya Y Chandrachud & Sri Hemant Gupta] answered in negative to the question on whether a death due to malaria occasioned by a mosquito bite in Mozambique, constituted a death due to accident. The appeal by the insurer was filed against the judgment of the National Consumer Disputes Redressal Commission, which upheld a decision of the State Consumer Disputes Redressal “National Commission”. The State Commission, in first appeal, had upheld the award of a claim under an insurance policy. Debashis Bhattacharjee, applied for a housing loan for an amount of Rs. 13.15 lacs from the Bank of Baroda in 2011. The loan was sanctioned incidental to the loan, came the facility of an insurance scheme called “National Insurance Home Loan Suraksha Bima”. The policy covered loan amount for a term of 20 years, for a single premium. It was a non-life insurance product intended to provide insurance security to a person who obtains a loan for the house / apartment. Sec I covered the property while Sec 2 insured the borrower against personal accidents. The loanee was working as a Manager of a Tea Estate in Assam. Later, he took up employment in 2012 as a Manager of a Tea Factory at Cha-De- Magoma, District Gurue, Province-Zambezia, Republic of Mozambique. During his stay in Mozambique, he was admitted into hospital, was diagnosed with encephalitis malaria and died in Nov 2012 due to multi-organ failure. His death certificate issued by the Republic of Mozambique spelt out the conditions and causes of death including as caused by mosquito. In the Supreme Court of India, Hon’ble Judges held that in a Policy of Insurance covering death due to accident - the peril insured against is an accident: an untoward happening or occurrence which is unforeseen and unexpected in the normal course of human events. The death of the insured in the present case was caused by encephalitis malaria. The claim under the policy is founded on the hypothesis that there is an element of uncertainty about whether or when a person would be the victim of a mosquito bite which is a carrier of a vector-borne disease. The submission is that being bitten by a mosquito is an unforeseen eventuality and should be regarded as an accident. We do not agree with this submission. The insured was based in Mozambique. According to the World Health Organization’s World Malaria Report 2018, Mozambique, with a population of 29.6 million people, accounts for 5% of cases of malaria globally. It is also on record that one out of three people in Mozambique is afflicted with malaria. In light of these statistics, the illness of encephalitis malaria through a mosquito bite cannot be considered as an accident. It was neither unexpected nor unforeseen. It was not a peril insured against in the policy of accident insurance. The Court held that ‘We are hence of the view that the interpretation placed on the terms of the insurance policy was manifestly incorrect and that the impugned order of the National Commission is unsustainable’. The Court was to further add : - “We have been informed during the course of the hearing that the claim under the insurance policy has been paid by the insurer. We direct in exercise of our jurisdiction under Article 142 of the Constitution that no recoveries shall be made. We have embarked on the present exercise since the issue raised in the present case will have a bearing on similar questions of interpretation in policies of insurance envisaging an accident cover. The appeal by the Insurer is allowed and the impugned judgment and order of the National Commission shall stand set aside. There shall be no order as to costs.